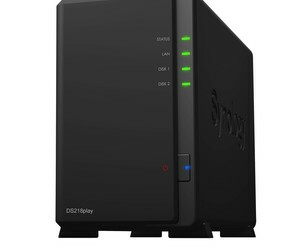 The Synology DS218play, DS218j and DS118 are feature-rich NAS servers with media streaming, file sharing and data backup features that are suitable for the home and small offices. DS218play is equipped with a 64-bit quad-core 1.4 GHz processor with a hardware encryption engine and 1 GB RAM, delivering encrypted sequential reading/writing throughput at over 110 MBps. Powered by a hardware transcoding engine, the product supports real-time, single-channel, 10-bit H.265 4K Ultra HD or single-channel full HD video transcoding. This enables users to enjoy videos on the go with no device limits. DS218j features a dual-core 1.3 GHz processor with a hardware encryption engine and 512 MB RAM, delivering sequential reading throughput at over 113 MBps and writing throughput at over 112 MBps. The product allows users to experience fast data access while achieving energy efficiency with its eco-friendly design, consuming only 17.48 W during peak usage and 7.03 W under HDD hibernation. DS118 is a 1-bay tower NAS, equipped with a 64-bit quad-core 1.4 GHz processor and 1 GB RAM. With its hardware encryption engine, the product offers encrypted sequential reading/writing throughput at over 110 MB[s. It comes with data backup and QuickConnect features that allow users to access data from any location. It also supports 10-bit H.265 4K video transcoding on the fly to enrich multimedia entertainment. 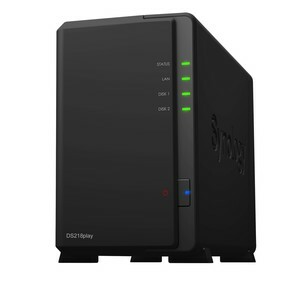 I am interested in Synology DS218play, DS218j and DS118 NAS servers .